Do you want to expand your business without any extra payment to more servers? Are you compelled to turn away certain projects because IT cannot keep up with your business needs? If your answer is yes, we have a perfect solution for this- Office 365 ad Azure Services. It is a suite of services offered by Microsoft. It is the same Office that you definitely know and utilize each day, but with a slightly different interface and many more features. Let’s discuss both of the services so that you easily understand the procedure and technique of these services. Office 365 is basically a subscription plan that consists access to office application and several other profitability services that empower over the Internet, for instance- Lync web conferencing and Exchange Online facilitated email for business and extra online storage. Office 365 is not only simple to use but provides your standardized solutions that help you to access your office application from anywhere at any time. 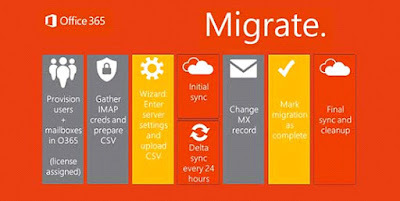 For this, you just have to migrate to office 365 from your office suite. Through this service, you can easily communicate and collaborate with your companions outside of your association. If you think your business or organization could benefit from the adaptability of the cloud computing then, office 365 will assuredly perfect for you. However, in addition to this, you should also require a platform that will provide a full backup of your corporate data. Azure Services fit best in that. Microsoft provides an Azure Service platform that is a cloud Platform as a Service (PAAS). Azure Service allows Microsoft’s managed data center to develop and host the applications. It offers a wide range of cloud services, including analytics, compute, networking, and storage, windows azure provide all of these and more- in a versatile, mobile, cloud-based environment, all secured and accessible 24/7, 365 from Microsoft data centers. Users can choose and pick from these services to scale and develop new apps, or also can run existing apps. Involving in your business Office 365 and azure service is no more a big deal because the professionals of Wintellisys are there with the upgraded technical knowledge and certificates to ensure you get the coveted service. If you are also looking for a reliable service provider that can easily migrate your corporate documents to the cloud, then Wintellisys is the perfect place for you; we provide office 365 and azure services, which provide a complete package of security to your business data.